This session will be for those new to race training, as well as established racers. There will be practice sessions through the poles, as well as some timed runs, so that you can assess your progress. It will be great training for anyone entering the Yorkshire Champs on the 20th of June, and also for anyone interested in the dry slope race sessions at Rossendale and Pendle. 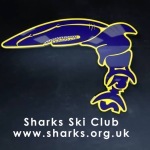 Also, a big thank you to Pendle Ski Club, who will be letting us use their facilities free of charge, as a thank you to Sharks for the support we have shown them over the years. You will need to book on the session by 00:01 on Friday 5th for the Saturday session.